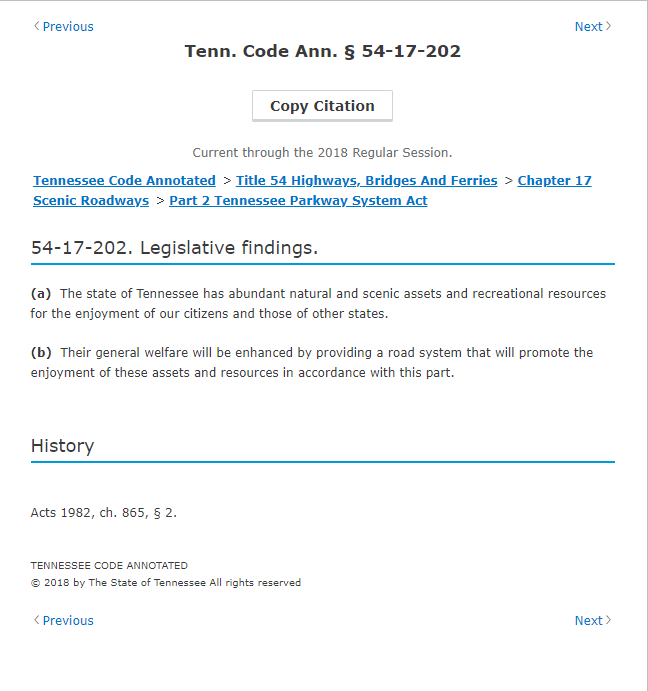 54-17-102. 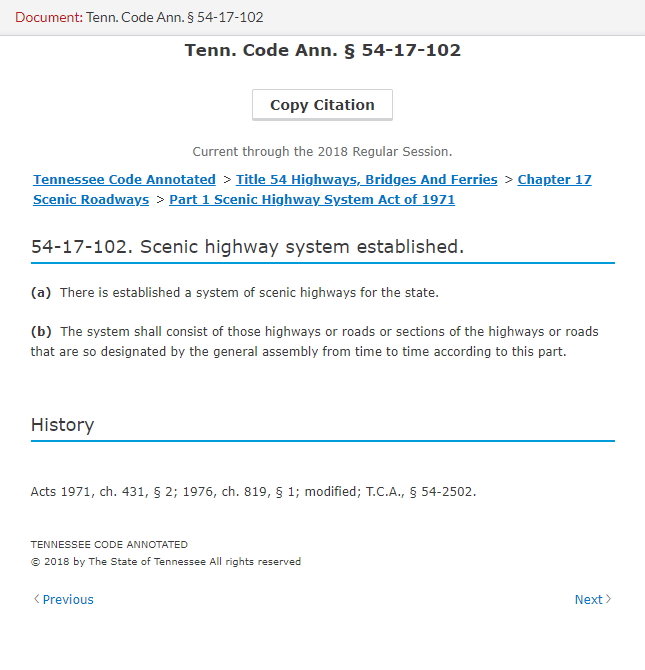 Scenic highway system established. 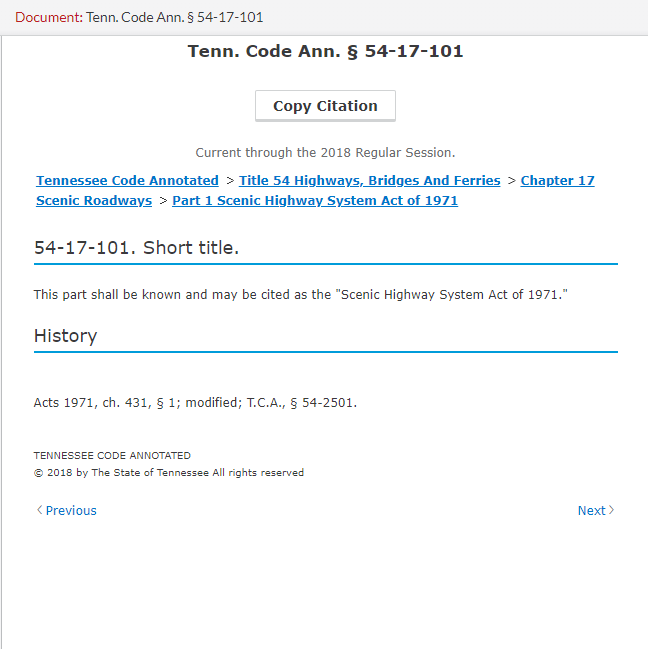 54-17-104. Purposes, standards and objectives. 54-17-105. 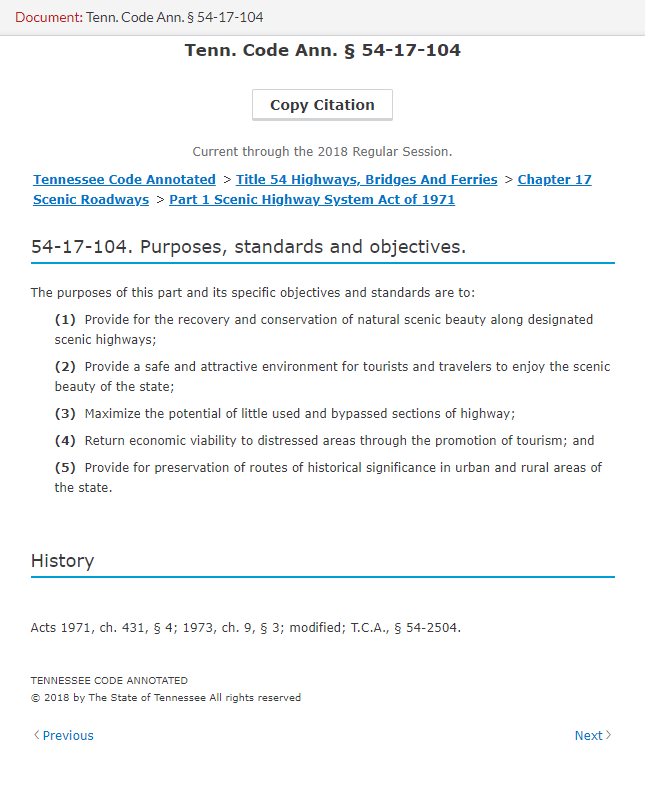 Eligibility for scenic highway designation — Requirements of designation — Comprehensive plan. 54-17-108. 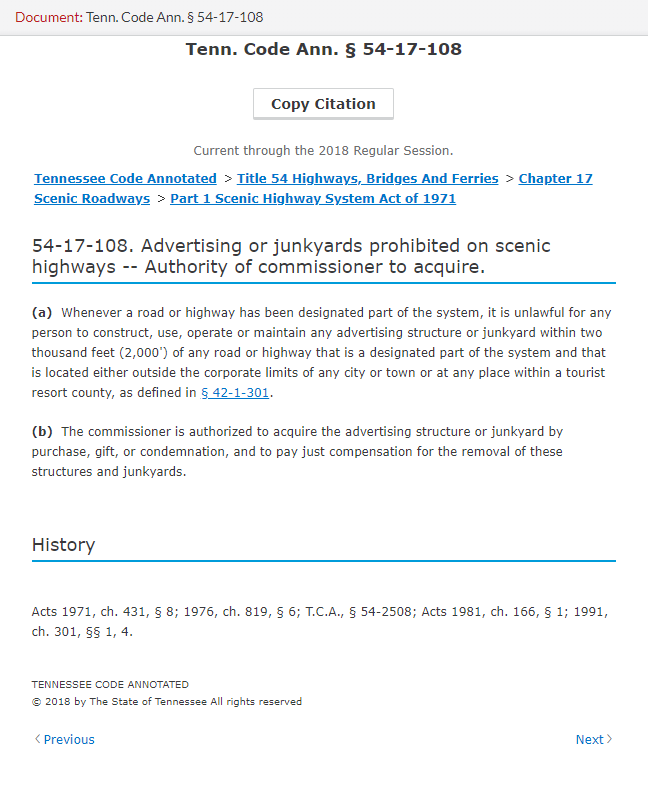 Advertising or junkyards prohibited on scenic highways — Authority of commissioner to acquire. 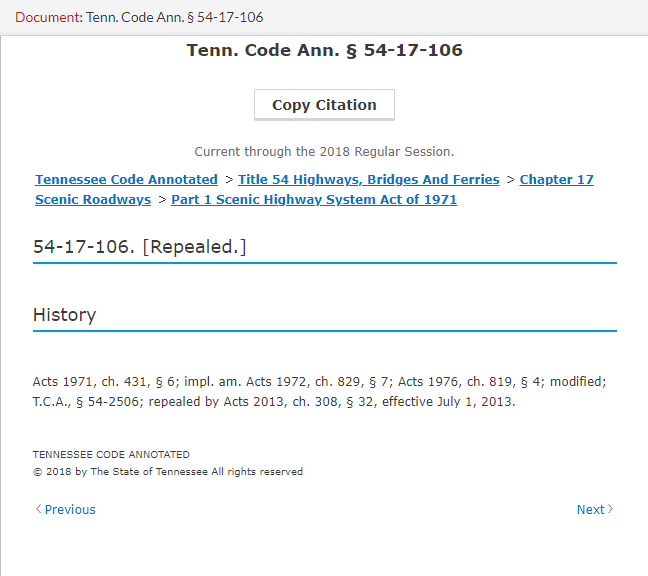 54-17-109. 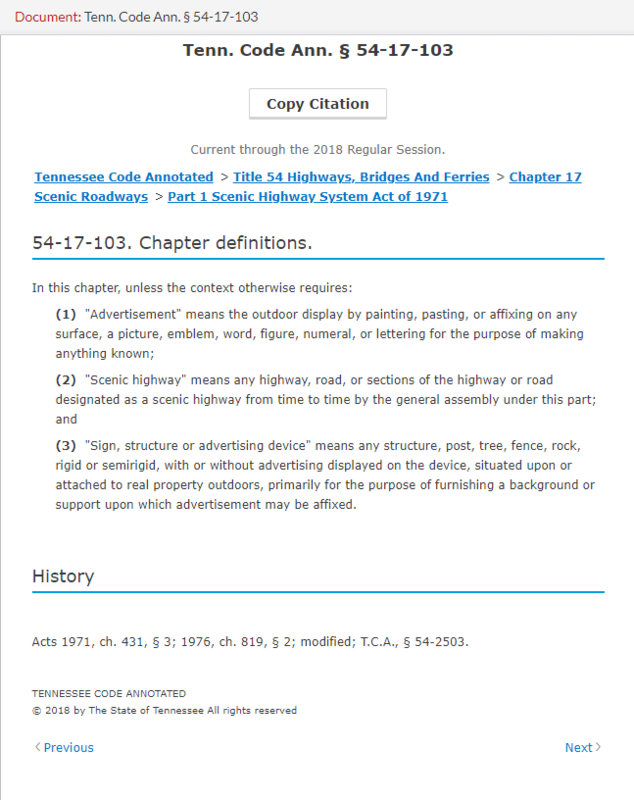 Advertising permitted on scenic highways. 54-17-110. 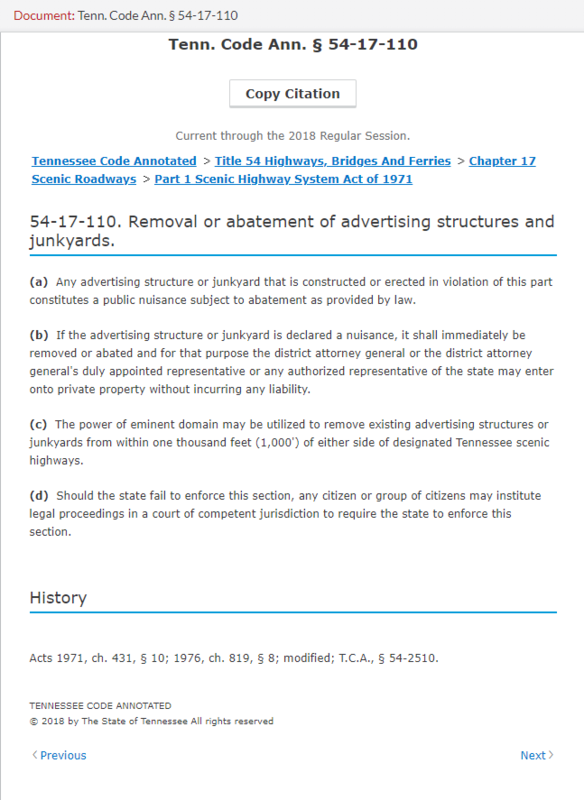 Removal or abatement of advertising structures and junkyards. 54-17-111. 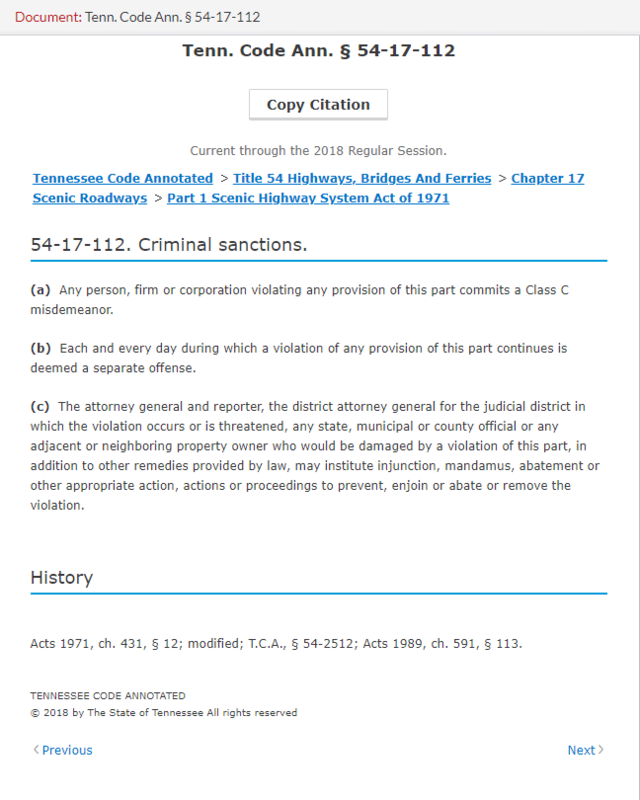 Trash dumping prohibited — Penalties. 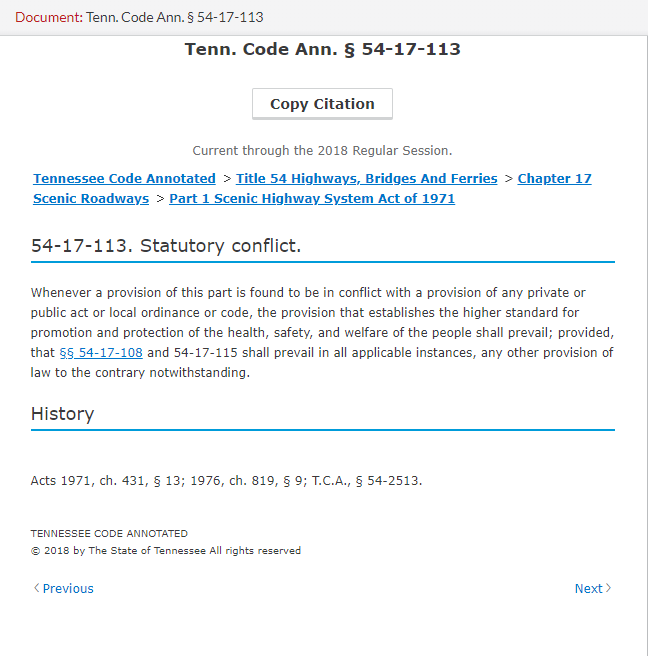 54-17-114. 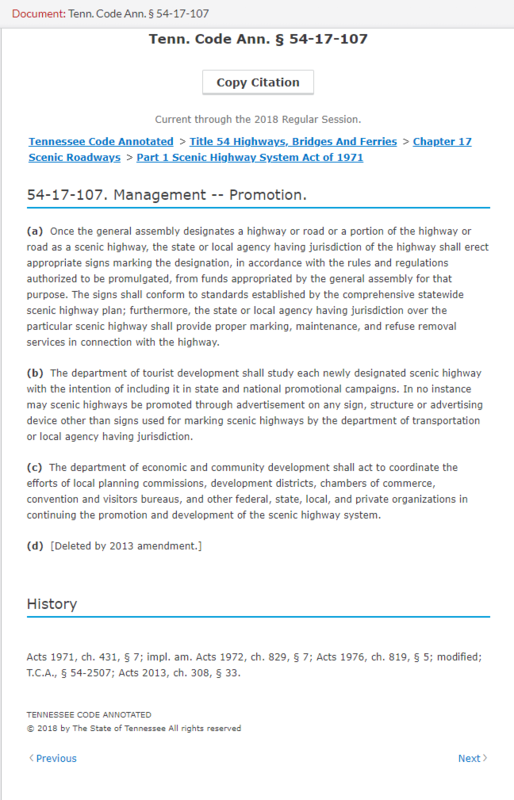 Designated scenic highways — Designated urban roads not to be impaired. 54-17-115. 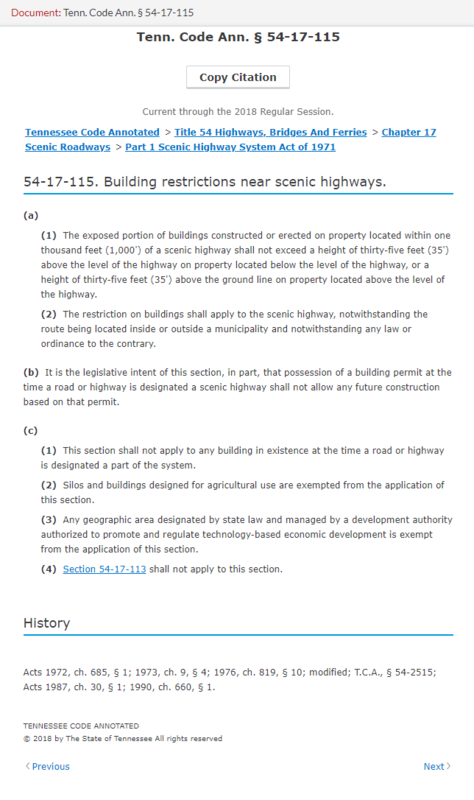 Building restrictions near scenic highways. 54-17-116. 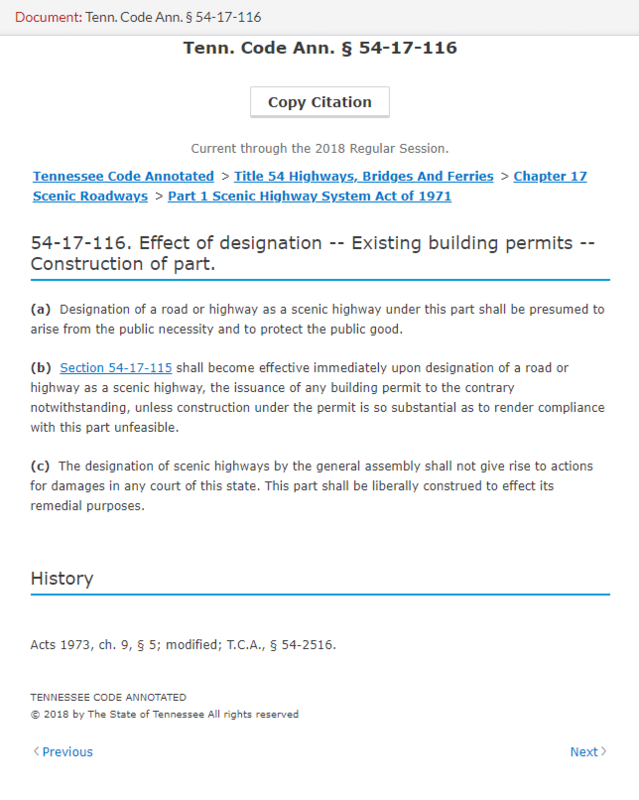 Effect of designation — Existing building permits — Construction of part. 54-17-203. 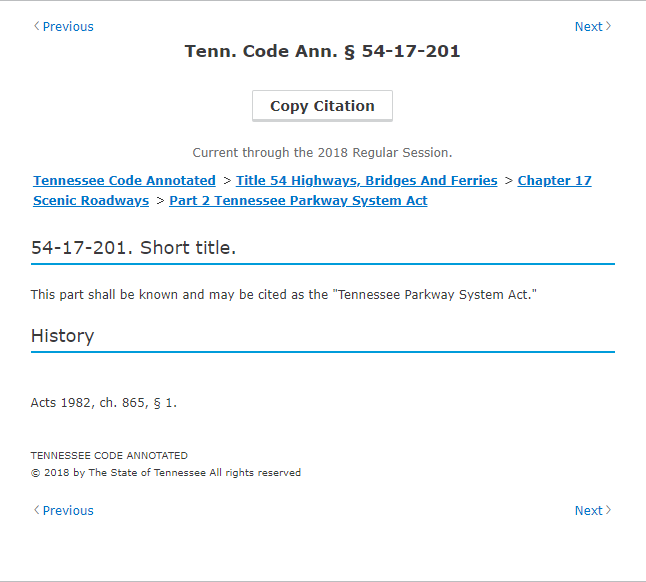 Establishment and designation of parkway system. 54-17-204. 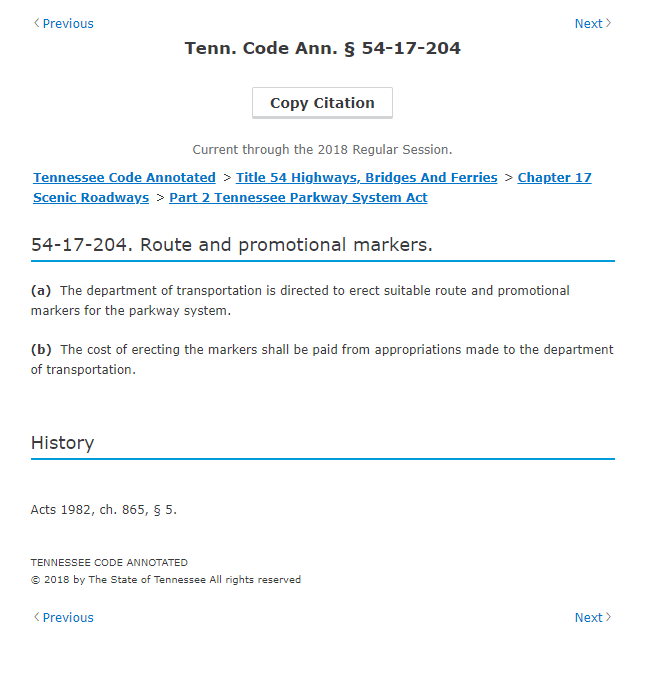 Route and promotional markers. 54-17-205. 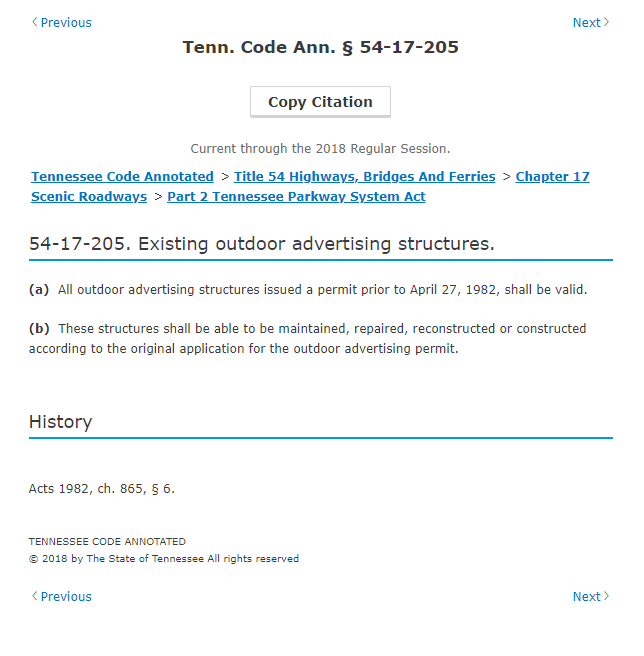 Existing outdoor advertising structures. 54-17-206. 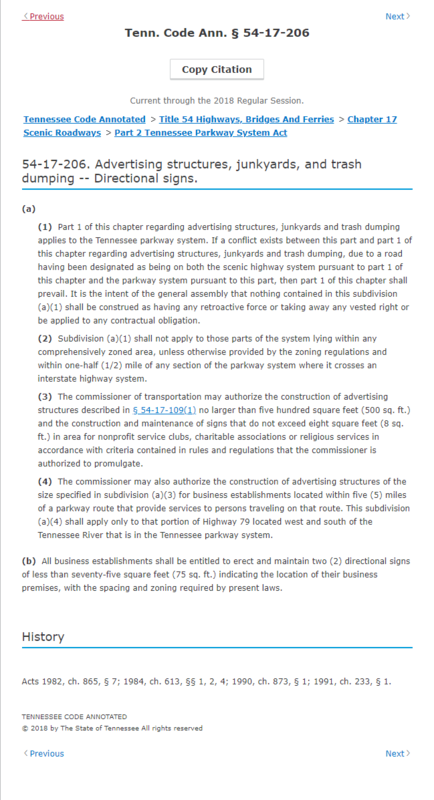 Advertising structures, junkyards, and trash dumping — Directional signs. 54-17-207. 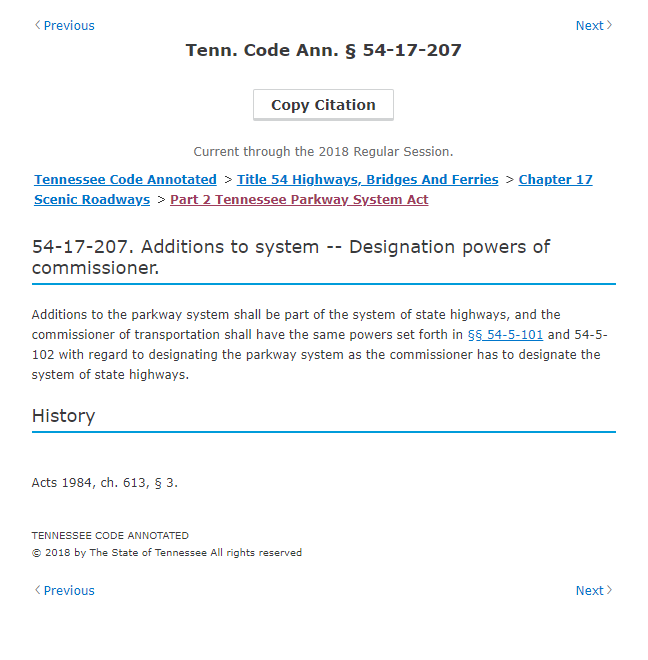 Additions to system — Designation powers of commissioner.